Broadbeach Tavern and Liars Bar has had a makeover and boy, is it a goodie! Well overdue, the space has seen a complete transformation of the interior and exterior and is now open for business with a brand-new name to match! The leafy, coastal interior will have you feeling refreshed as you sip on a cocktail and take in the sea breeze. With elegant decor, Italian furniture and ambient lighting indoors, The Broadbeach’s protected outdoor seating allowing guests to enjoy glimpses of glistening Kurrawa Beach and Broadbeach’s busy business streetscape. Food-wise, their focus has been to provide guests with a bistro-style menu that tastes as good as it sounds. The house specialty, affectionately christened The Broadie Board, is a must-try with crispy calamari, karaage chicken, arancini balls (to die for! ), baked brie, Amalfi prawns, oyster shooters, flatbread and dips – a mouthful in the best way. The refreshed menu also features rustic, wood-fired pizzas, pasta dishes, burgers, and super salads all made with fresh, quality produce. You’ll want to leave your diet at home for this spot, though, because once you see the menu you’ll be drooling! If you’re seeking a function venue, look no further! Large groups can enjoy a scrumptious special menu featuring enticing one-metre pizzas with an array of toppings like prawn and chorizo, prosciutto and rocket, and for cheese lovers (everyone), a classic Margherita. Tasty grazing tables complete with fine cheeses, crackers, tropical fruits, quince jams, dips and more, purchased by the metre, can also be arranged. Accompanying the sound of the waves and bustling Broadbeach scene, live music will fill the venue from Thursday-Sunday, taking on a laid-back lounge vibe reflecting the new decor. 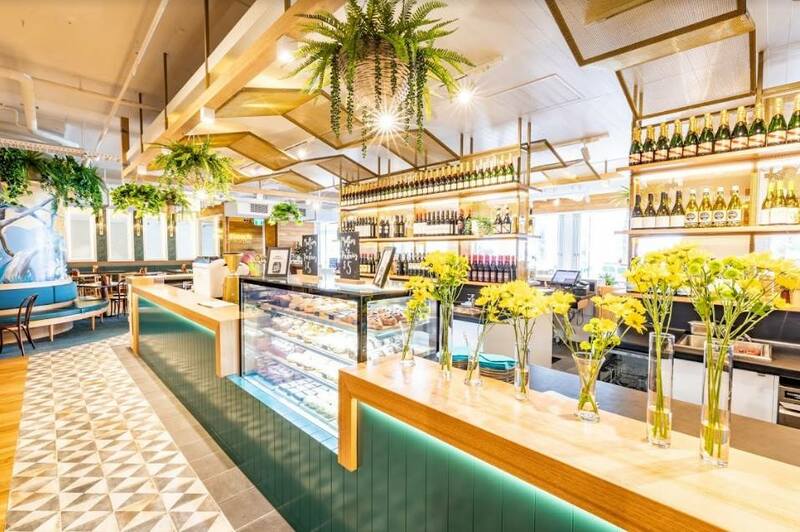 As much as we’re mourning the loss of adored Liars Bar, we’d be liars if we said The Broadbeach’s new look and taste weren’t completely worth it. - The gourmand who will take a Broadie Board…but probably won’t share. Coffee a part of your daily grind?